The term “soul food” was coined in southern US states by African-Americans in the 1960s. Soul food reflected the sorrow and pain among slaves in the region who had to make do with the food they were given. These days, however, the meaning has somewhat changed to convey nostalgic dishes that give people comfort. The English term is now also commonly used among South Koreans to describe dishes that are quite different to traditional meals that hark back to the Joseon era. As Koreans’ soul food has its origins in the ethnic grief and sorrow during the Japanese colonial rule (1910-1945) and the Korean War (1950-53), the meaning behind such food could be similar to that of the American South. Despite a lack of ingredients, people created new types of tasty dishes that could satisfy the appetite and hunger of both children and adults. With the rapid industrialization after the Korean War, food here evolved greatly. Among these are jajangmyeon, tteokbokki, kalguksu, gukbap, budaejjigae, gimbap, ramen and fried chicken. A large portion of Koreans are estimated to have enjoyed these types of dishes during their childhood. While most Koreans eat rice and side dishes every day, many still frequently enjoy soul food in accordance with their childhood memories. Though Korean soul food is relatively cheap, many high-income earners do not hesitate to dig in. Their constant love for the sort of dishes is attributable to homesickness. 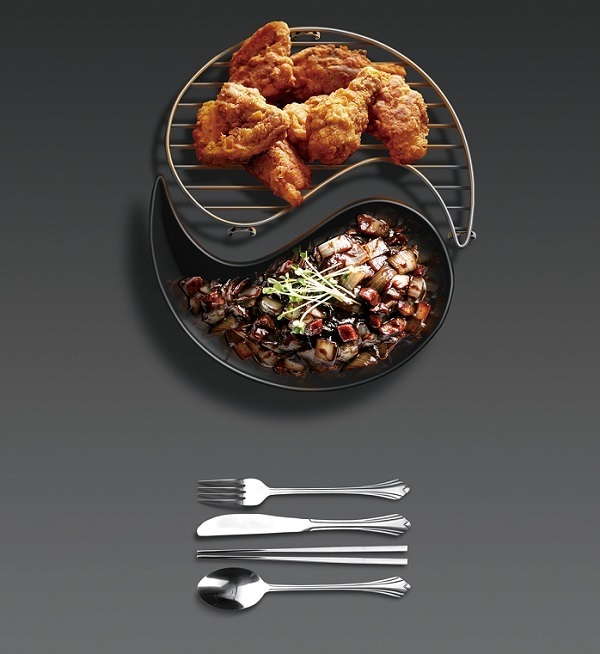 There is some interesting data on the rivalry between jajangmyeon and fried chicken. According to artificial intelligence-based big data analyzer Daumsoft, the number of times fried chicken has been mentioned on social media has increased by an average of 33 percent annually since 2011, indicating that it is fast becoming more of a South Korean comfort food than jajangmyeon. The data found that fried chicken was mentioned 846.19 million times on internet blogs and 1.25 billion times on Twitter over the past six years. In 2016 alone, chicken was mentioned 3.23 million times on social networking sites. In contrast, the number of mentions for jajangmyeon, one of the most popular Korean-Chinese dishes, on social media was 274,662 in 2016, about 10 percent of the corresponding figure for fried chicken. Many Koreans choose the comforts of fried chicken and beer to wash away their stress on a Friday or Saturday night after a grueling workweek.